Watch video (2:20) Try for Free! 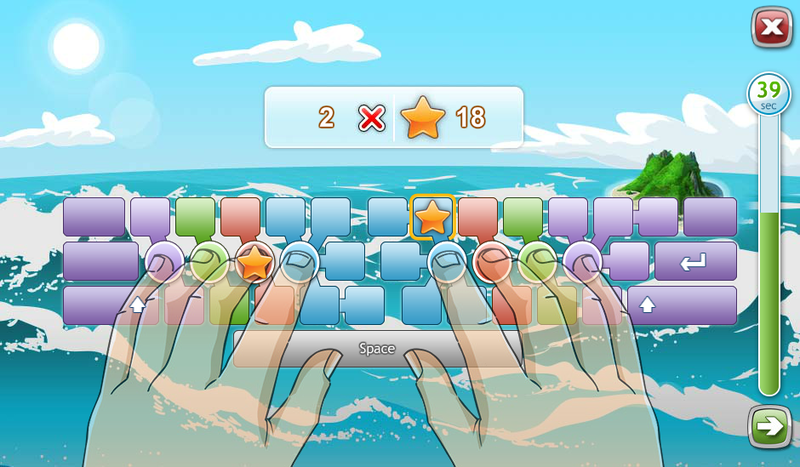 Keyboarding is Fun with Typing Quest! Keyboarding can be an adventure! The versatile keyboarding courses of Typing Quest will take your students from beginner level all the way to touch typing mastery. 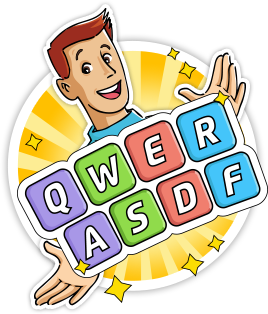 Typing Quest courses include up to 20 hours of fun and colorful exercises to help your students become keyboarding champions. Take a look at what Typing Quest offers your school and sign up for a Free Trial! PS. Typing Quest is also available for personal use and companies. Oct 31, 2017 Welcome TypeTastic! New Typing Adventure Awaits! 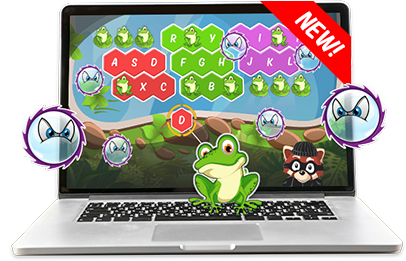 Now children in Kindergarten through Second Grade can play their way through keyboarding basics with fun, instructive games that cover the keyboard step-by-step. Read more or Watch a video. 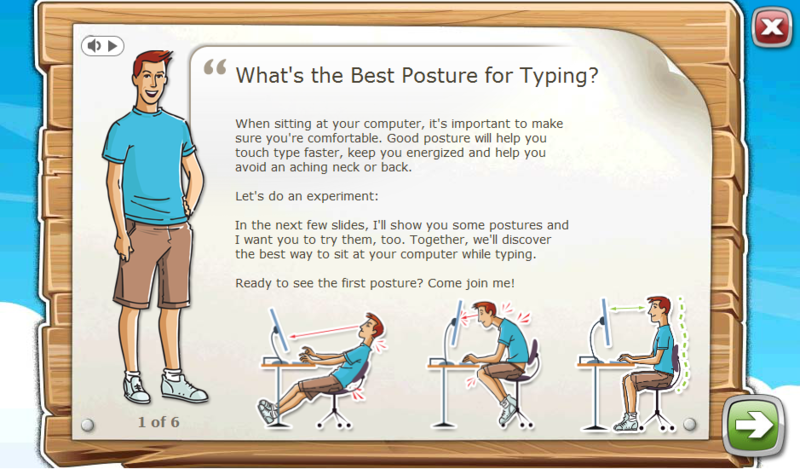 There are over 40 visual guidance slides in Keyboarding Kickstart and Junior Course with full voice-over to help acquaint users with the different aspects of the touch typing technique and ergonomics. At the end of each lesson there is a lesson exam to assess students' skill level. You can set a specific target score for passing each exam. "Island Adventure" theme provides an adventurous setting for younger students, while "Blue Curves" offers a peaceful backdrop to keep you focused. Our excellent teacher tools make it easy to adjust the course for each class in addition to helping you track and assess student progress. 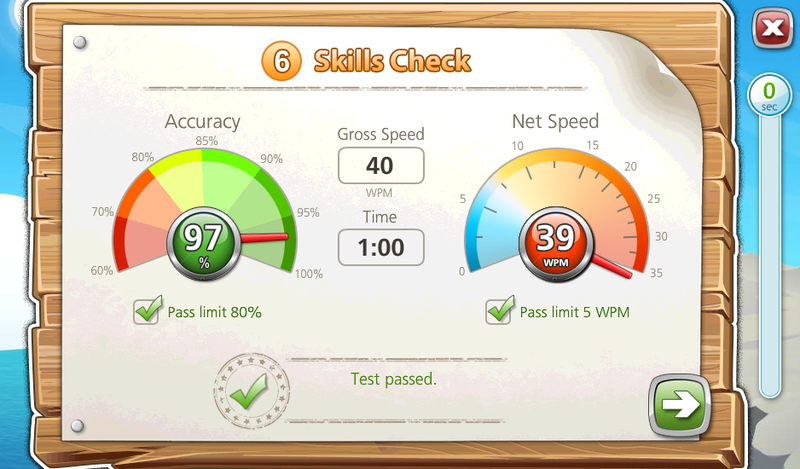 Typing Quest features versatile teacher tools that will help you track your users' progress. You can add several administrators and teachers and organize your users into different groups. 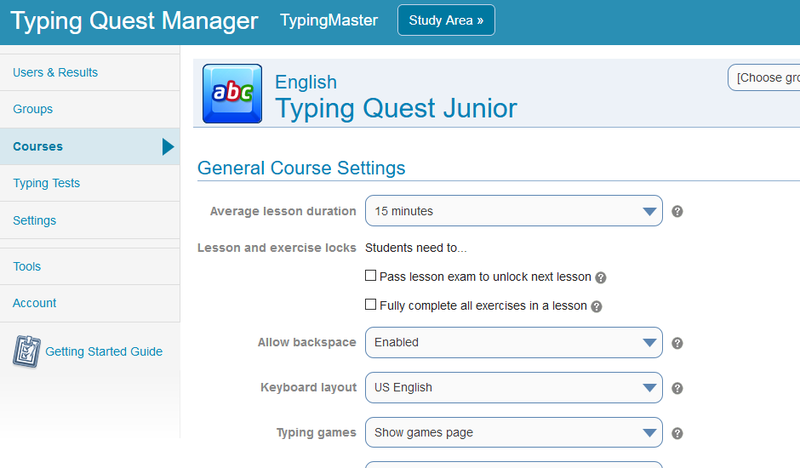 With teacher tools you can modify the global settings of Typing Quest as well as course settings. You can change for example lesson length, lesson locks and pass requirements separately for each group. Tracking your users' scores is easy with Typing Quest reports. Filtering the user view will display user information for eg. selected group or course or last login time. 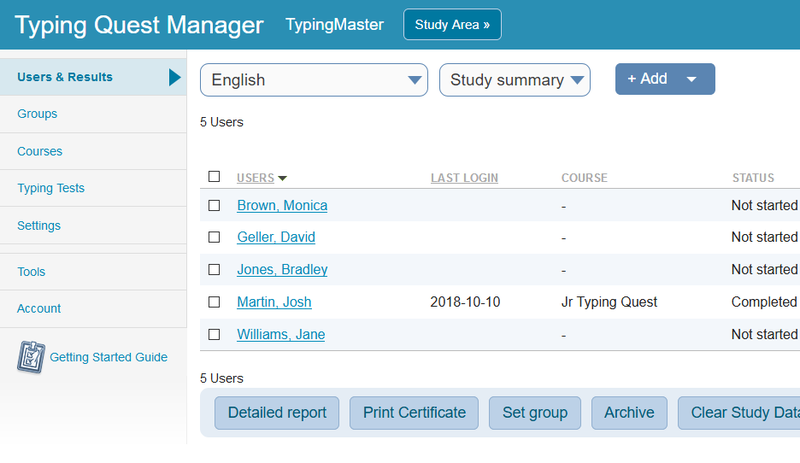 Typing Quest includes five different reports from a general user list to detailed Lesson Result Report. 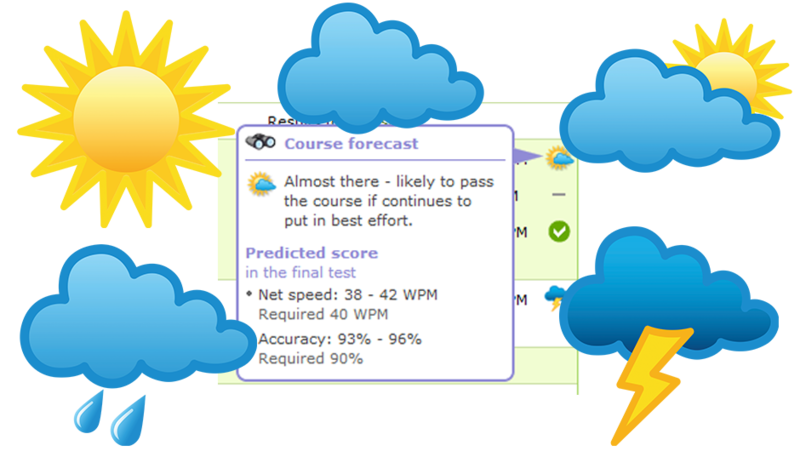 Typing Quest's unique Course Result Forecast tool helps teachers to spot students who are likely to have difficulties to meet the final test limits. The prediction is based on an analysis of over 30 000 Typing Quest study records which are then compared to the pass limits teacher has set for the final test. The prediction does not show an exact speed and accuracy but the estimated limits the student's score is likely to fall between. We support Google G Suite sign-on! Integrate Typing Quest with your school directory using Active Directory Federation Services (SAML 2.0) or LDAP. Read more about Single Sign-On or LDAP integration. If you have any questions about integrating Typing Quest with your school directory, please contact us. Typing Quest Works With Computers and Tablets! Typing Quest courses work directly in your browser - no plug-ins or installations are required. TypeTastic is a new fun way to start exploring the keyboard. 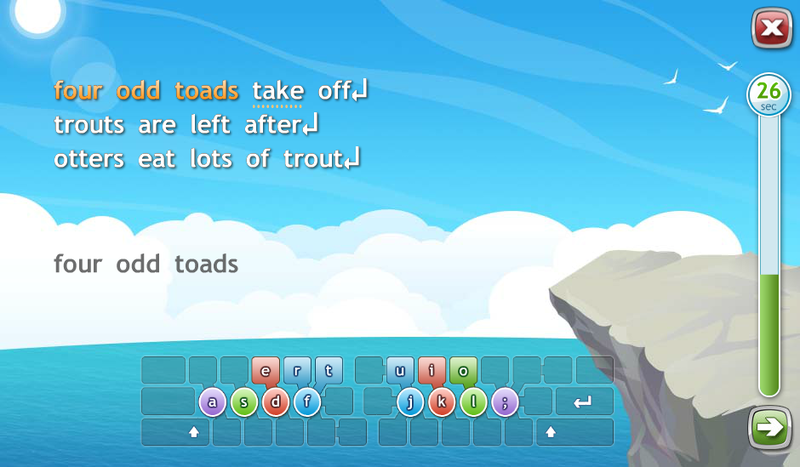 These engaging games will help little fingers find their way on the keyboard. Based on our unique pedagogical approach, these games have been created in real classrooms together with teachers. 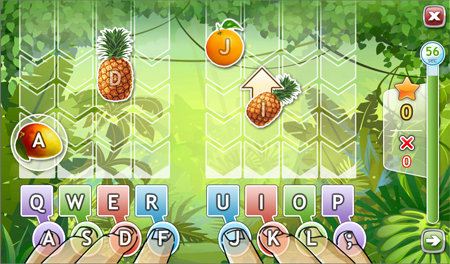 Play your way into keyboarding! This fun game package is the first step towards efficient use of the keyboard with both hands and all ten fingers. 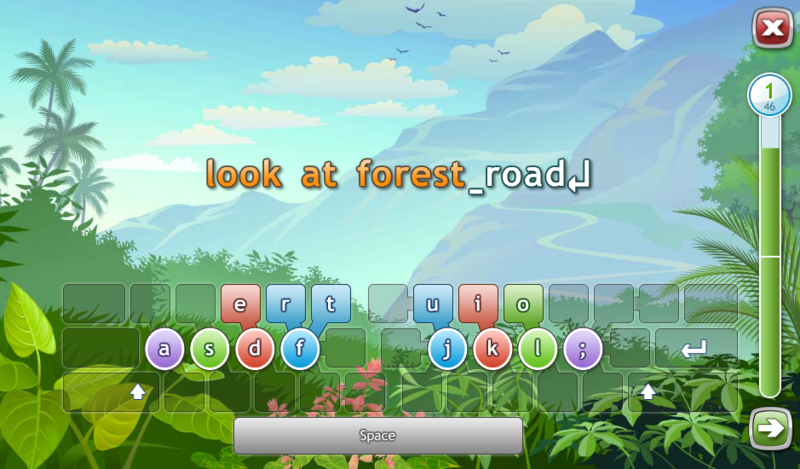 Use it with your younger students as an introduction before moving on to the Junior Typing or Touch Typing modules. This Junior keyboarding module covers the entire alphabet and common punctuation. 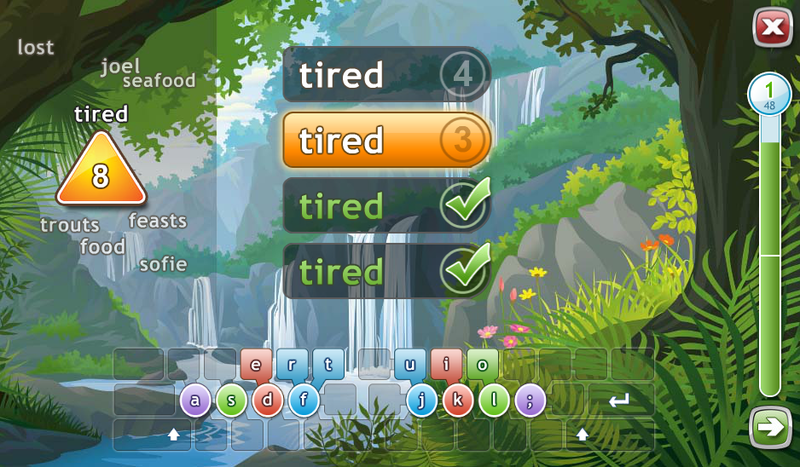 The module can be adjusted to younger Typing Quest users (ages 8-12) by shortening lesson duration and by using easier words in both drills and skill tests found at the end of each lesson. 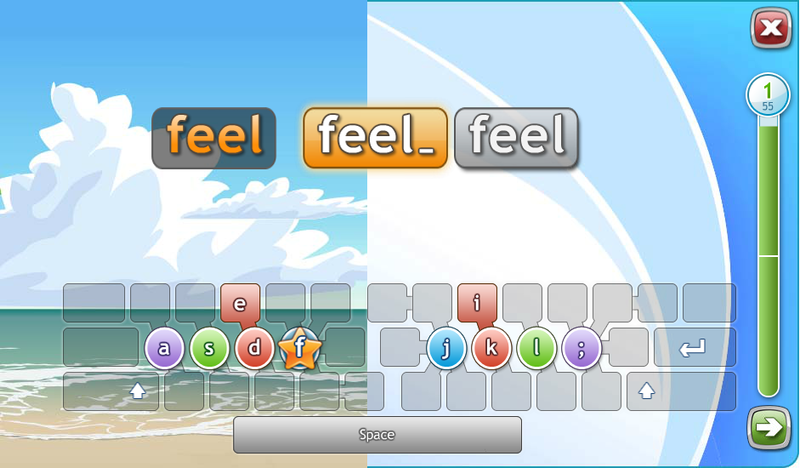 The main keyboarding module covers the entire alphabet and common punctuation such as the period, comma and question mark. There are longer and trickier words in exercises, texts and in the typing exam found at the end of each lesson. Extend your skills to include symbols, including Internet characters, mathematical symbols and different kinds of brackets. Note: Be sure to complete the Number Row module first as many symbols are located on the number row. Are you having trouble reaching the correct numbers? This two lesson module teaches how to type numbers on the number row using touch typing technique. Learn to use the 10-key number pad with touch typing technique. This may be useful in your math lessons as well! You can easily create your own timed writings to be used as pre- or mid-term tests or simply as additional practice. 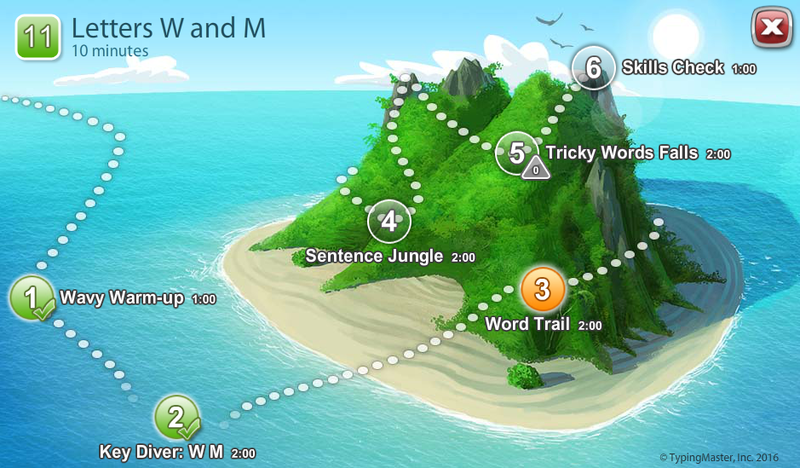 Take a quick tour around Typing Quest using our free Sample Lesson to get a general idea of our lesson structure. Learn about different exercise types and try them out without a separate sign-on. Free Trial account gives you access to selected lessons, games and teacher tools. You can customize courses and tests to your liking and invite colleagues and students to try out Typing Quest as well. We offer an extended 3-month trial, during which all Typing Quest courses and features are fully functional to be used with your students. If you already have an account, contact us. If you don't, sign up today! Prices starting from $169. Transferable licenses are based on the amount of active users. See price list. 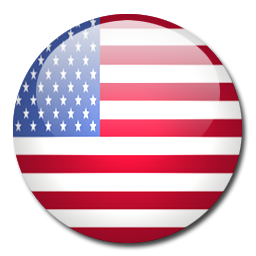 We offer transferable and concurrent licenses. See price list. Typing Quest access for multiple schools or an entire school district. Contact us for more information and a price quote. Typing Quest Hops On to Tablets!